Club Chairman Terry O’Brien and Warriors player Keith Jumper present a cheque for €300 to the staff of Arlington Lodge, Tralee. IN the busiest week of the season for Garvey’s Tralee Warriors, members of the squad and committee took some time out to deliver proceeds from the club’s fundraising activities to two very worthy local causes. 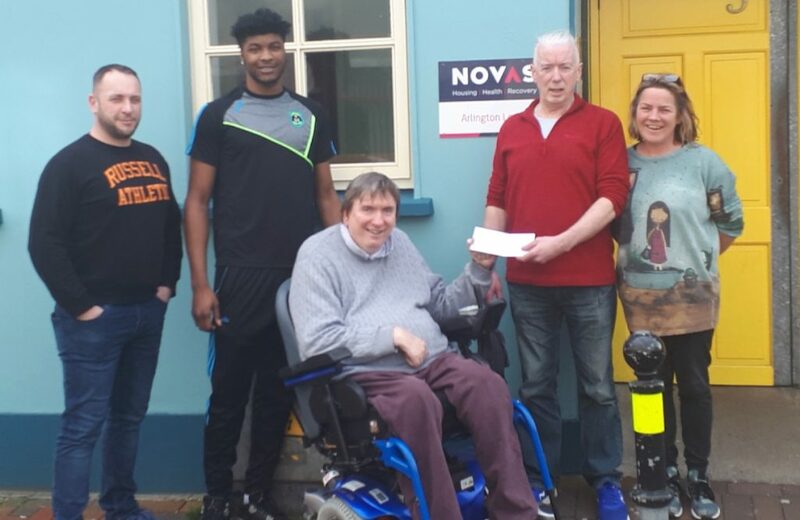 As the club prepares for the Super League finale this weekend, Club Chairman Terry O’Brien and players Kieran Donaghy and Keith Jumper visited Arlington Lodge, Kerry’s only temporary-supported homeless facility, to hand over a cheque for €300. They also presented a cheque for €300 to the Children’s Cashel Ward at University Hospital Kerry. 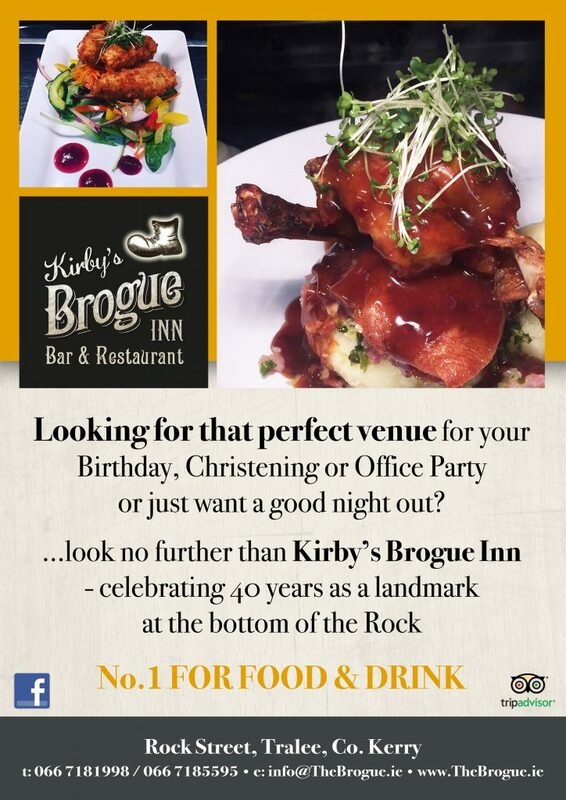 Club Chairman Terry O’Brien says community is very much at the heart of the club and a fundraising night is given over every season to raise monies for local charities. 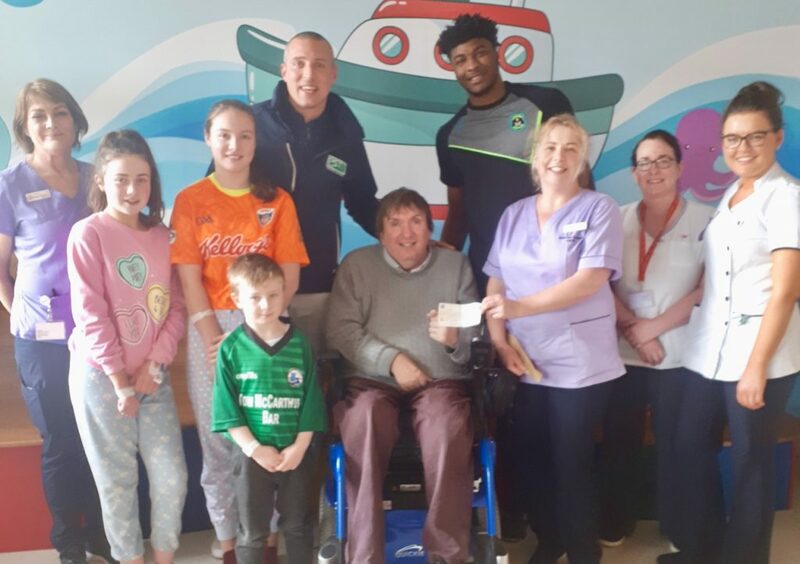 Club Chairman Terry O’Brien and Warriors players Kieran Donaghy and Keith Jumper present a cheque for €300.00 to the staff of the Cashel Children’s Ward at University Hospital Kerry.